WASHINGTON -- Fiat Chrysler Automobiles will recall about 965,000 gasoline-powered vehicles in the U.S. and Canada that do not meet emissions standards and will replace their catalytic converters, officials said on Wednesday. The EPA said the recall will be done in phases this year due to the large number of vehicles involved and the need to find supplies of catalytic converters. The California Air Resources Board said 50,000 California vehicles must be repaired, or drivers "will not be able to register their vehicles." California and FCA said the vehicles emit nitrogen oxide (NOx) pollution above regulatory limits. California said Fiat Chrysler's "own data and test results confirmed that the catalytic converters in these vehicles were malfunctioning." 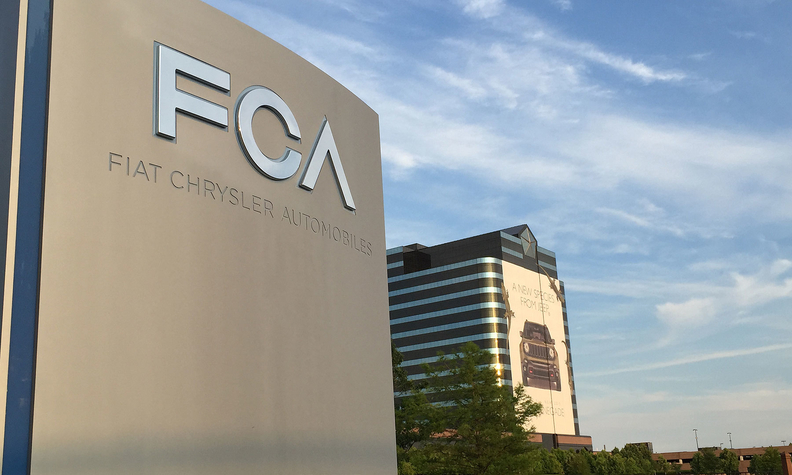 In January, FCA agreed to a settlement worth about $800 million to resolve claims by the U.S. Justice Department and the state of California that it used illegal software to produce false results on diesel-emissions tests. It is awaiting the outcome of a criminal probe. The hefty penalty was the latest fallout from the U.S. government's stepped-up enforcement of vehicle emissions rules after Volkswagen Group admitted in September 2015 to intentionally evading emissions rules.